Dr. Roger Orsini performs liposuction surgery for patients in Maryland, Delaware and Washington, DC to actually remove unwanted localized deposits of fat cells from the body. The procedure is meant for body contouring. It is not a treatment of obesity. A suction tube is inserted through a tiny incision placed in an inconspicuous location on the skin. With a high pressure vacuum, fat cells are extracted through this tube. The result is a resculpting of bulging areas into more attractive contours. With the Tumescent Technique, large volumes of saline solution, local anesthesia, and adrenaline are infused into the fatty area being treated to cause swelling. This enables your surgeon to maneuver a small instrument called a cannula, connected to a vacuum machine, superficially under the skin. The cannula is inserted into the fatty tissue through tiny incisions. Your surgeon gently moves it around under your skin and suctions away the unwanted fatty deposits to reveal more attractive contours. 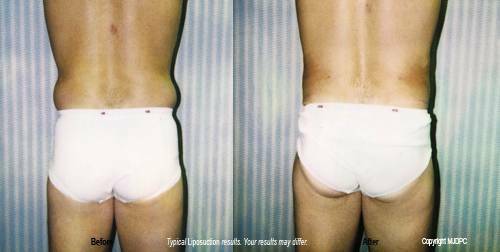 After Dr. Orsini performs liposuction, dimples, ripples and stretch marks remain unchanged. Your new figure will be similar to what you would expect if you could lose an equal amount of localized fat through diet and exercise alone. The use of smaller cannulas allows the fibrous connections between your skin and body to remain. These connections will contract over time. As a result, excessive skin folds are so rare that many patients avoid the necessity for surgical skin excision by having excellent results with liposuction alone.